Carpe Memoria: It's a BIG DEAL! If you got here from Tiare's blog, then you are hopping right along. 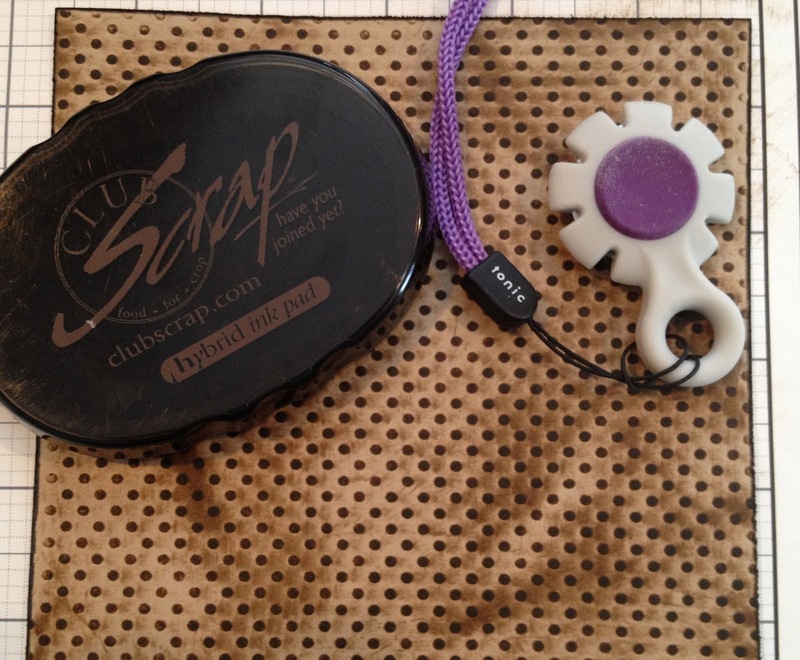 If you get lost along the way, or you want to start back at the beginning, go to the Club Scrap Creates blog. There's a list of all of this month's participants there. When my kit arrived, I immediately noticed the gorgeous colors and unique textures of the papers. 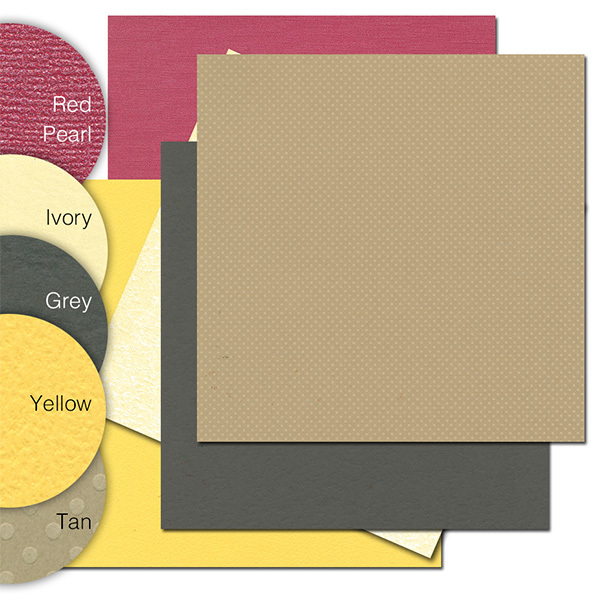 Photos can never do justice to paper textures, but you can see the beautiful colors in this picture. 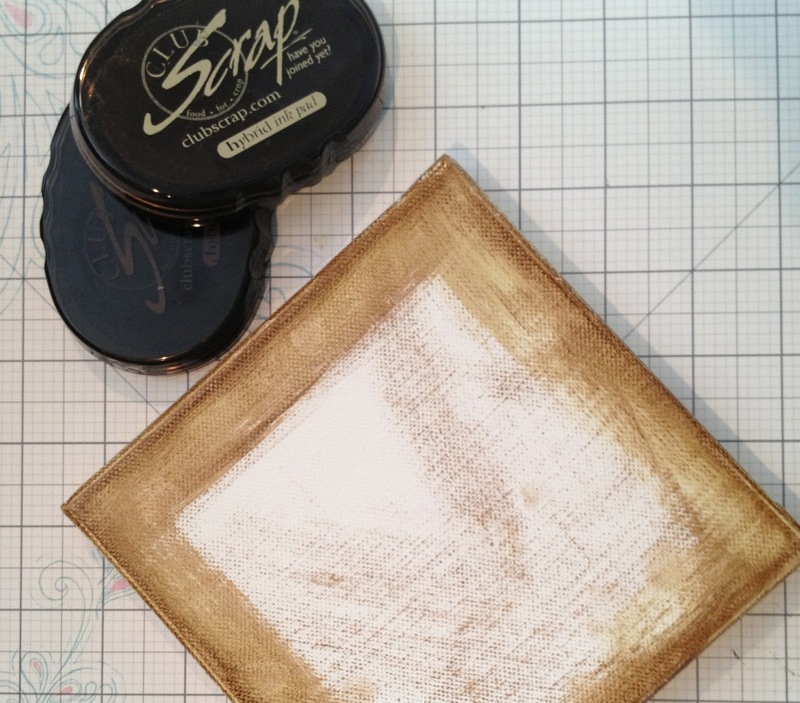 For the blog hop, I opted to do another canvas art project. You can see the one I made in December for the Gnome for the Holidays blog hop HERE. 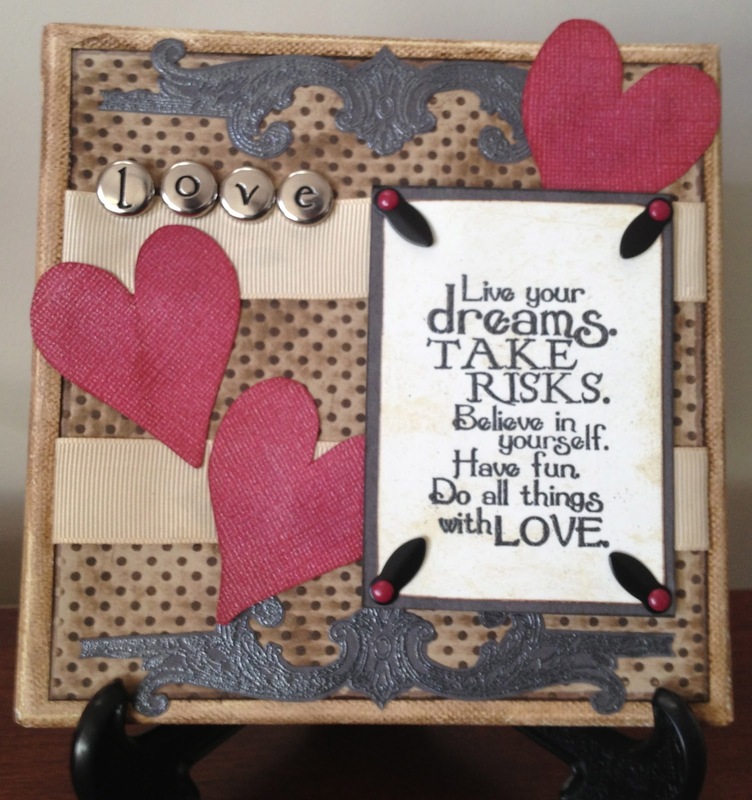 Below is my Big Deal canvas art--perfect for Valentine's Day or year-round! I started with a white 6x6 canvas. To distress the parts that would be visible, I first inked with Club Scrap's Sandstone hybrid ink, then I added Earth ink on top. I like the two-tone, aged effect this gives. 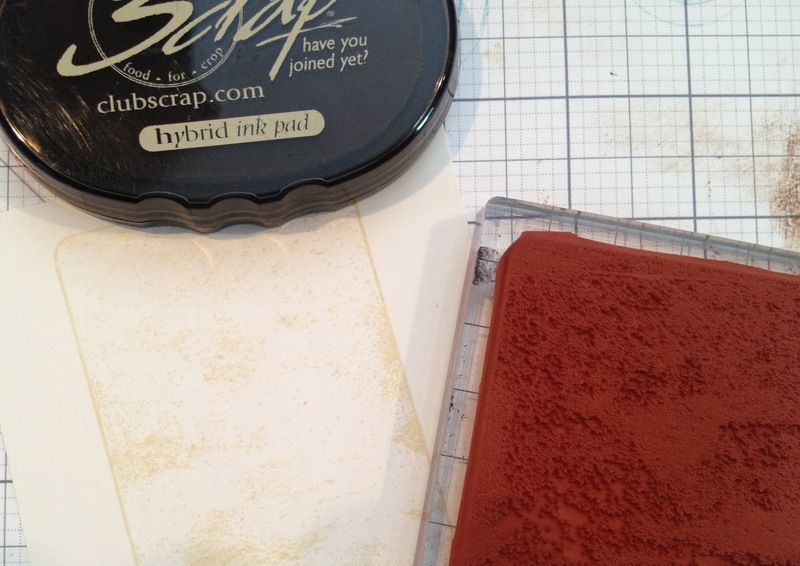 For my base paper, I chose the Tan Plain from the kit, cut to 5.5x5.5". It has a raised "Swiss Dot" pattern on it that is ideal for inking! 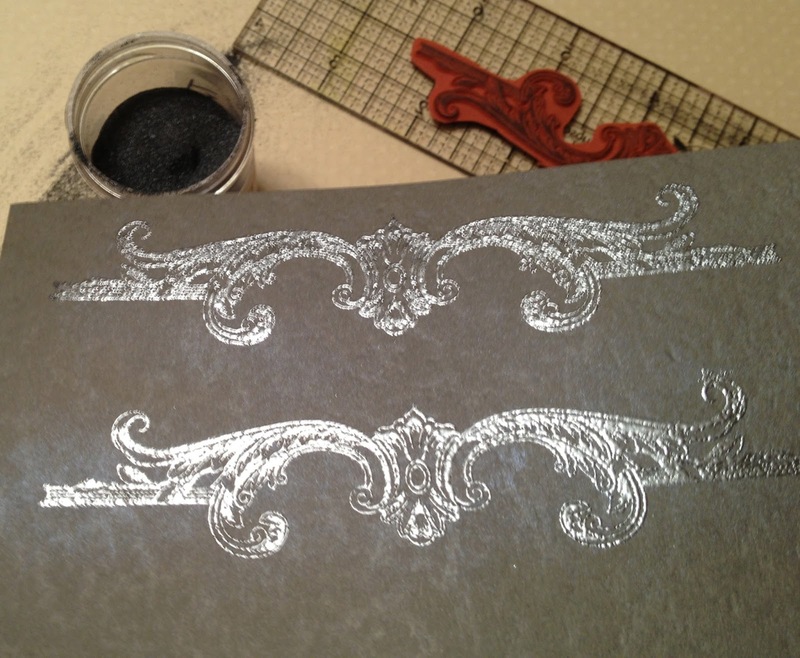 After distressing the edges with my Tonic paper distressing tool, I ran the Earth ink pad over the surface and edges of the paper. The focal image was made with two stamps. 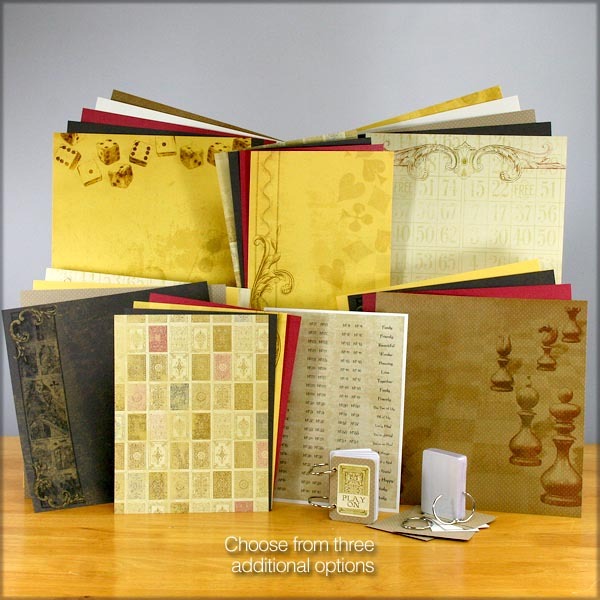 The card background stamp is from the Borders & Backgrounds sheet. To keep it light, I inked with Sandstone ink. 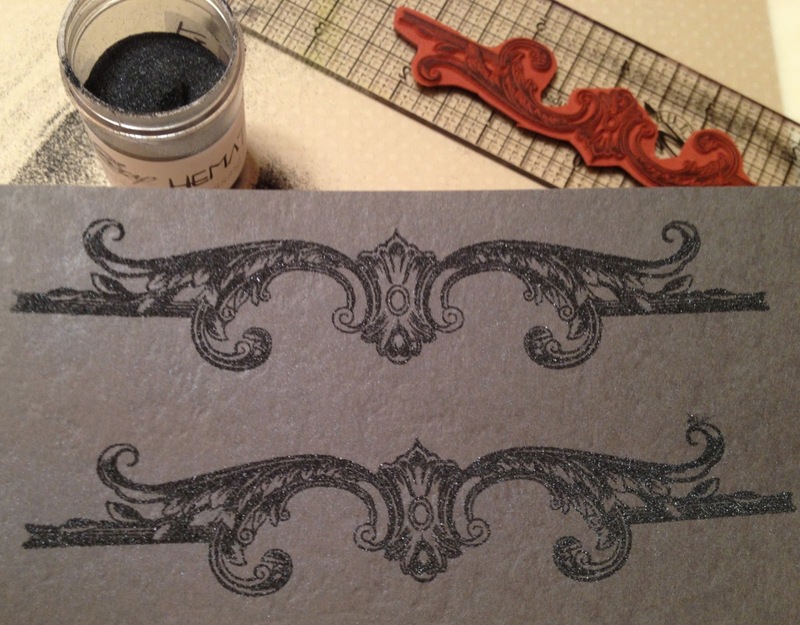 Another stamped and embossed element--the scroll image, also found on the Borders & Backgrounds unmounted rubber sheet. After cutting out the scrolls, I glued them on with CS Bookbinding Glue. Ribbon (from the Big Deal embellishment pack) and some brads from my stash layer on even more texture. To add to the love theme, I stamped hearts from the Collection stamps onto the Red Pearl paper and added red brads from my stash. This canvas makes a festive home decor element for the month of February, though I might just leave it out year-round. Thank you for stopping by my blog today. I hope you enjoyed seeing my creation and are inspired by the textures in this kit. 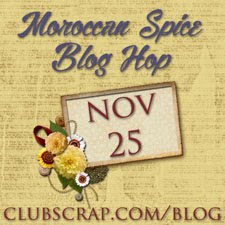 The next stop on the blog hop is Marya's blog HERE. Beautiful canvas,Lisa and thanks for the sharing how you did it! You wll get many ooh's and aah's when people see your canvas in your house! Lisa you always come up with original ideas and I really love this one. Thank you so much. 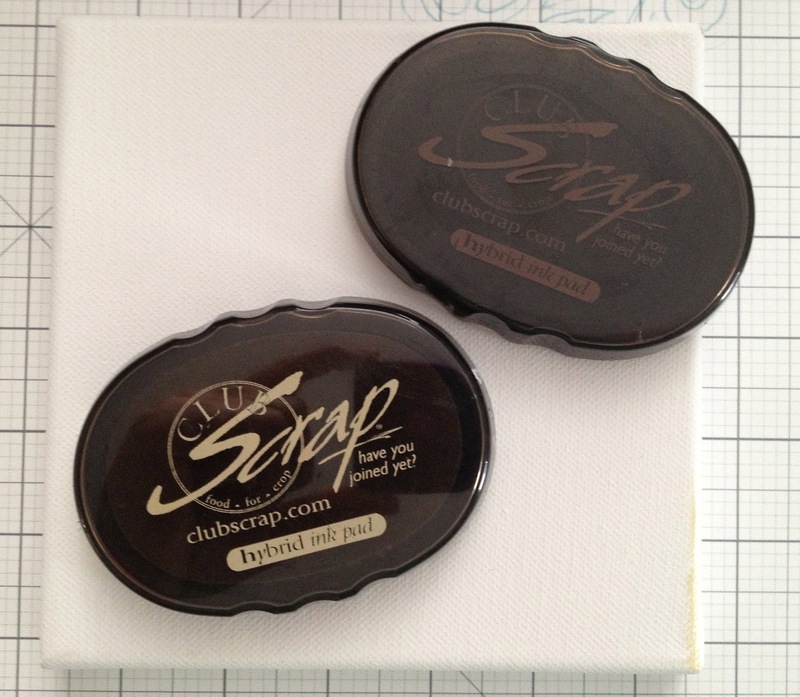 Beautiful job Lisa, and love the inky detail in the dotty kraft paper as a background. Wow, you and Karen drew the same card from the idea pool this month. I love your 6x6 canvas! Beautiful! Wonderful canvas, my favorite part is the earth ink on the swiss dots, really neat! This is gorgeous Lisa! Love all the elements you incorporated - those scrolls at the top and bottom look metallic at first glance. 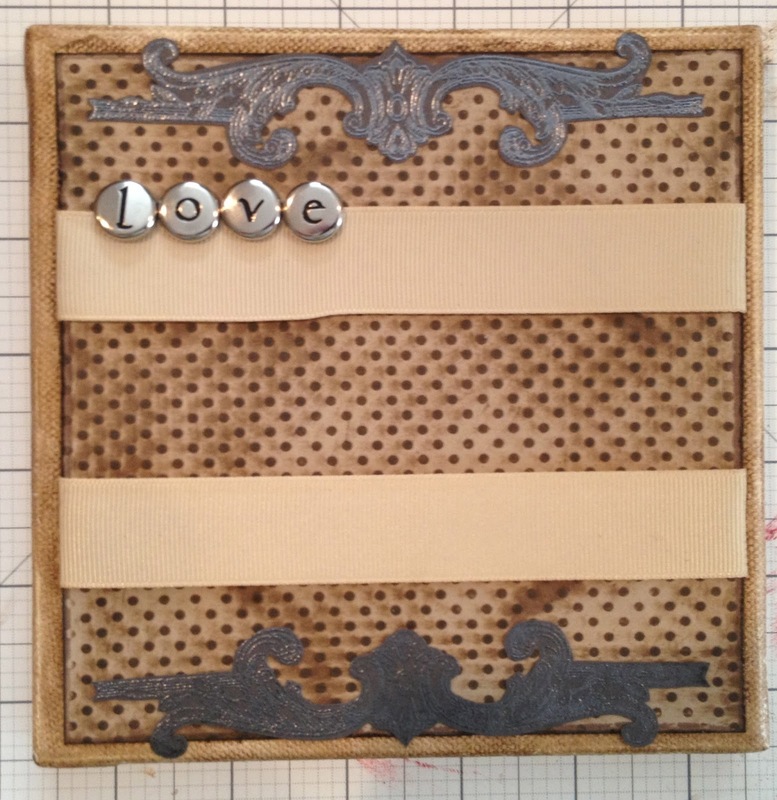 The overall canvas is a lovely project - thanks for sharing! What a great project! I may have to break down and give this canvas/decor "fad" a try...LOL! What a wonderful canvas. The quote is so wonderful as a reminder and to share! Beautiful canvas, Lisa. Neat how we had the same idea to start, but even more interesting to see how differently they turned out. I love how you embossed the scrolls and trimmed them out as an embellishment. Lovely. Another beautiful canvas!!! I love all the dimension. I love the way that tan dotty paper pops with the ink on it, I also like the distressed edges, it adds a lot! This is very cool. 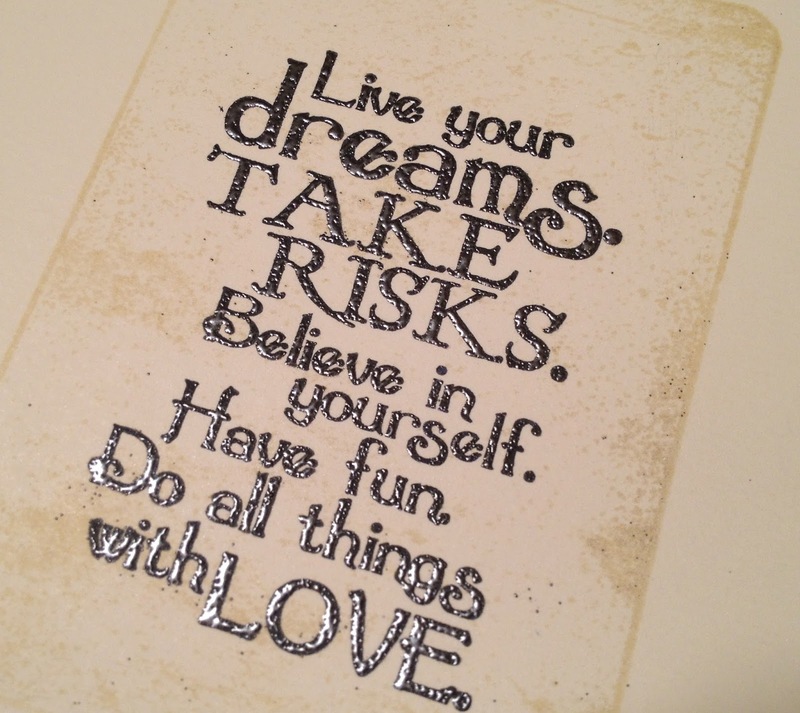 I could see this hanging on the wall in my craft room. Nicely done. I've got to try a canvas! You inspire me with your design; love the embossed sentiment. I'm loving this and may have to pick up a canvas and try this. I need some new wall decor in my housse.